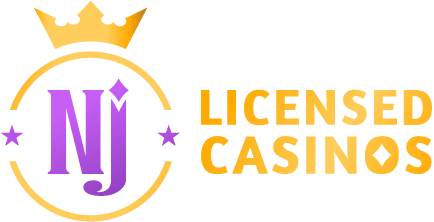 Regulated online poker launched late in 2013 and ever since many of the world’s top online poker brands have brought their platforms to NJ-based users. With NJ online poker now in full flow, this article looks to provide insight into the best NJ poker sites currently available and what kind of bonus offers you can look forward to when joining them. PlayMGM $25 In Bonuses + 100% First Deposit Bonus Up To $1000. After a few failed attempts in the early 2010s, New Jersey lawmakers were able to finally convince then-Governor, Chris Christie, to sign an online gambling bill which included the legalization of online poker in February 2013. The bill stipulated that the New Jersey Division of Gaming Enforcement would be required to ensure that all NJ online poker sites were affiliated with land-based Atlantic City casinos. At the time, New Jersey became the third state in the US to legalize online poker after Delaware and Nevada. Over the next few years the states signed agreements to share players and now in 2019 users from all three states can play together on certain NJ poker sites. It is required that anyone playing online poker at NJ poker sites must be over the age of 21 and physically located within the state. To ensure users are playing within the state boundaries, location software and settings on both desktops and mobile devices will be required to be activated when playing. All sites ask users to verify their identities for proof of age but do not require users to actually be residents of NJ. Where Can I Play Online Poker in New Jersey for Real Money? Pala Poker is one of the newcomers to the NJ online poker market, launched in 2017 under Borgata Hotel Casino & Spa in Atlantic City’s internet gaming license. The platform uses its own proprietary software and provides users with the chance to play online casino games and bingo as well. A mobile app is currently available for both iOS and Android which can be downloaded by visiting the Pala Poker NJ website. Cash games, sit n go’s and tournaments are all available at Pala Poker NJ along with a special type of fast fold poker called FastPala. Game types are mainly limited to Texas Hold Em, however you can find some omaha cash games. Stud is expected to be the next game type which will be available on the site. The Pala Poker Welcome Package comes in two stages. First-time users can enjoy a sign up bonus just for registering for a Pala Poker Account. The bonus gives new users a $10 bonus which can be used on poker and $15 which can be used at the casino. The second part of the Welcome Package gives users a first deposit match bonus up to $500. The bonus will be released in increments of $5. As you would expect, Borgata Poker is licensed through the Borgata Casino in Atlantic City. The site launched in 2013 along with all the other first entrants with the help of online gaming leader bwin.party, now known as GVC. A mobile app is available for Borgata Poker on both Android and iOS. The site offers cash games, sit n go’s and tournaments in a number of game type variants including: No-Limit and Limit Hold’em, 7 Card Stud, Pot-Limit Omaha & Omaha Hi-Lo. A number of daily freerolls and weekly tournaments are available if you would like to give the site a shot for free. At the moment the Welcome Package at Borgata Poker offers all new users the chance to get a $20 sign up bonus just for registering at the site and a 100% match bonus on a player’s first deposit worth up to $600. Users will be required to unlock the bonus cash for each bonus by playing real money poker. PartyPoker NJ launched in 2013 as one of the first entries on the NJ online poker market. PartyPoker has long been one of the leaders in online poker and caters to millions of players from Europe and across the globe. In New Jersey, PartyPoker and Borgata Poker share online poker players as both sites are powered by the same platform. This means users from Borgata and PartyPoker can play with each other even though they are on separate platforms. PartyPoker NJ is available both as a desktop client and as a mobile app which can be used within New Jersey. In terms of online poker games, PartyPoker offers its users cash games at several limits for Texas Hold Em, Stud and Omaha. Users will also be able to take part in a range of sit n go’s and tournaments of varying buy-ins. PartyPoker NJ currently offers new users a 100% match bonus on their first deposit worth up to $1000. The bonus money is paid in 10 equal parts as users play and collect points. Pokerstars is the world’s leading online poker platform. The site launched in New Jersey in 2016 under the license of the Resorts Atlantic City Casino. Since then the site has been able to gain huge traction and now easily has some of the best online poker NJ has to offer. Pokerstars NJ can be accessed both via its award winning software for desktops and through the Pokerstars NJ Mobile App, available on both Android and iOS devices. One of the main differentiating factors of Pokerstars compared to other poker sites in NJ is the wide range of tournaments and sit n go’s which are available to users. Cash tables for Texas Hold Em’, Omaha and Stud can also be found on the site at many different stakes. Currently Pokerstars NJ is offering a Welcome Bonus to all new users who join the site where users can choose between $30 in free play with a deposit of $20 or more, or a 100% match bonus on a user’s first deposit worth up to $600. 888poker NJ launched in late 2013 under the Bally’s Casino internet gaming licence. One of the heavyweights in both the online poker and sports betting industry, 888 has been able to secure more than its share of the NJ market and continues to grow each year. Users will, however, not be able to share liquidity with the international 888 market or the 888poker platform which is live in Delaware. A mobile app is available for 888poker NJ which is iOS and Android compatible. 888 is known for its mid-ranged cash tables which give users the chance to play from stakes as low as $0.01/$0.02 to as high as $10/$20 on both Omaha and Texas Hold Em. Sit n go’s as well as multi table tournaments are also available on the platform. The 888 NJ Welcome Offer gives new users $20 in bonus funds just for signing up, no deposit necessary. The offer includes, $10 in Free Play, 6 x Tournament Tickets and $4 in bonus cash. Users will also be able to take part in a First Deposit Bonus which gives users the chance to get up to $1500 matched in bonus cash. One of the best NJ Poker sites, WSOP.com was launched by Caesars Interactive Entertainment with the help of 888, when online poker was made legal in 2013. WSOP.com is the most trafficked NJ online poker site at the moment and is the highest grossing of all online poker sites in the state. The platform shares players with the 888poker NJ but not the WSOP.com Nevada or WSOP.com international platforms. Users can access the WSOP.com NJ site via a mobile application which is available on both iOS and Android, sharing the same functionality as the downloadable desktop client. One of the main reasons why WSOP.com has done so well in New Jersey is the high liquidity in cash games which allow users to easily find a table to play at. Users can choose from Texas Hold Em, Omaha and Omaha Hi/LO at WSOP, with tables running all night long in most cases between the stakes of $0.01/$0.02 and $1/$2. Sit n go’s and tournaments are also available at WSOP, which can lead to pretty big prize pools given the number of players. At the moment the WSOP.com NJ Welcome Offer gives all new users the chance to get up to $600 in bonus cash on their first deposit. The bonus is released to players in $5 increments for every 50 APP points earned. A minimum deposit of $10 is required to activate this bonus. PlayMGM opened up just a couple years ago in 2017 under the MGM-owned Borgata Hotel Casino & Spa’s internet gambling license. The site has been able to do very well for itself within a short period of time, becoming one of the preferred NJ online poker sites. Users can access the PlayMGM Poker site by either downloading the desktop software by visiting the PlayMGM website or by downloading the app available on both iOS and Android. Poker variants found at PlayMGM include: Texas Hold Em, Pot Limit Omaha, Omaha Hi/Lo and 7 Card Stud. All games can be played across cash games, sit n go’s and tournaments with a heavy amount of each being dedicated to Texas Hold Em and Pot Limit Omaha. The PlayMGM Welcome Offer is two-fold, providing users with a chance to get both a $25 sign up bonus and a 100% match bonus on a user’s first deposit worth up to $1000. The $25 sign up bonus is divided into $10 in online cash and $15 in tournament tickets. Cash for the first deposit bonus is released in increments of 10% on a player’s initial deposit based on the amount of real money points accrued. All of the best NJ poker sites have an online app which makes playing on the go just as simple as playing on your desktop. As mentioned earlier, all the apps require users to turn location settings on in order to ensure they are within the New Jersey State boundaries. In the battle of best online poker NJ app, Pokerstars seems to just edge out the competition. The world famous mobile app which is composed of award winning software gives users the chance to play seamlessly with little to no hitches. Notifications on the app allow users to get alerts whenever a new promotion is available and when tournaments they have registered in are about to begin. Other notable online poker mobile apps in NJ include the 888poker App, PartyPoker App and WSOP.com Poker App. Yes, online poker is legal in the State of New Jersey following the 2013 bill passed by then-Governor, Chris Christie. How many online poker providers are there in New Jersey? There are currently 7 legal online poker providers in New jersey: PartyPoker, Pokerstars, 888Poker, Pala Poker, WSOP.com, Borgata and PlayMGM. Are there requirements for playing NJ online poker? Users must be over the age of 21 and physically located within the state of New Jersey to enjoy online poker games. How do I register on a NJ online poker site? To register at an online poker site in New Jersey you may simply visit the website of the poker platform and either download the desktop software or mobile app. You will then be able to register for an account on the platform. Can I play for play money in NJ? Yes, many of the poker sites in New Jersey offer users the chance to play for play money cash games, sit n go’s and tournaments.